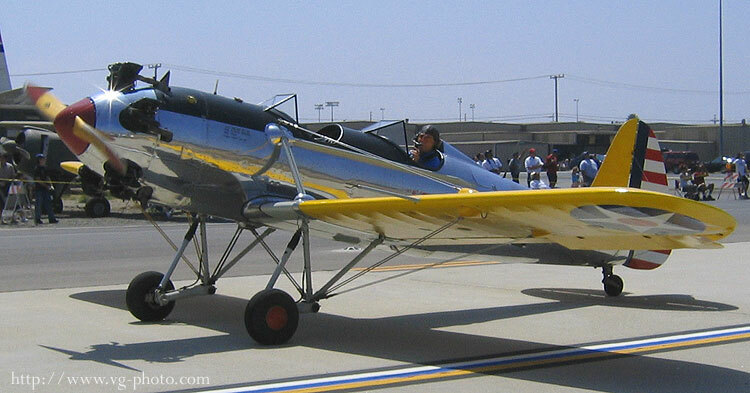 The Ryan ST3KR was better known as the PT-22 Recruit. 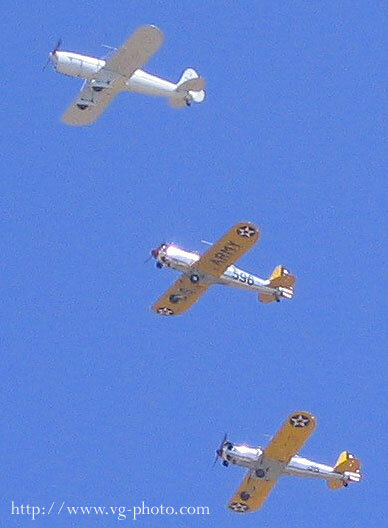 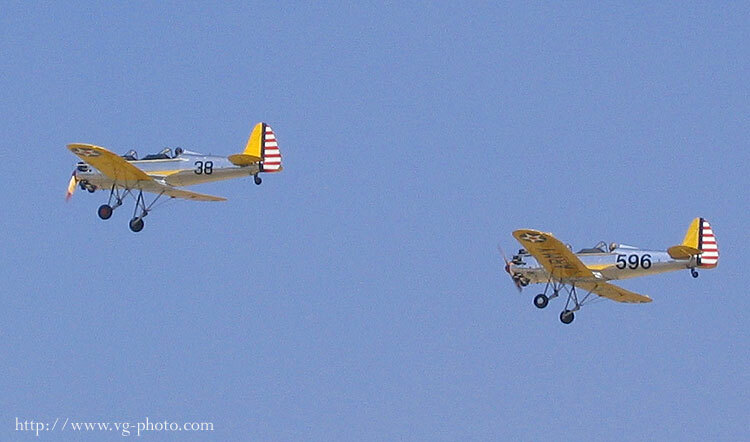 These airplanes have a distinctive sound when passing overhead because of their 5 cylinder Kinner radial engines. 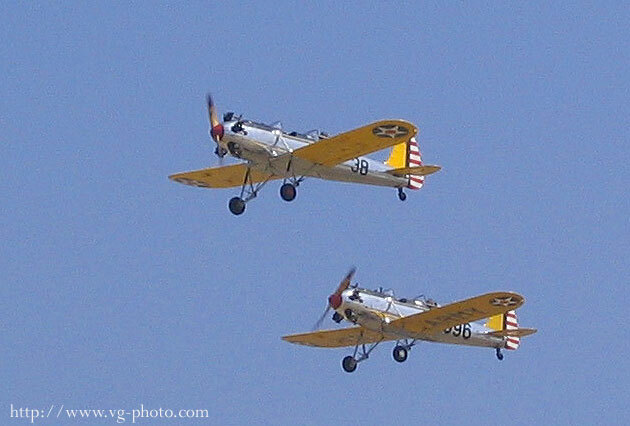 Feature here are N53271 (fuselage code 596) and N58651 (fuselage code 38). 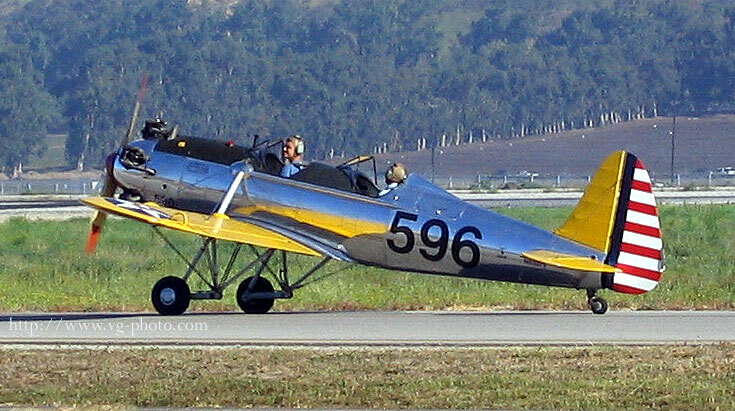 N58651 was manufactured in 1941, while the other is unknown when it was manufactured. 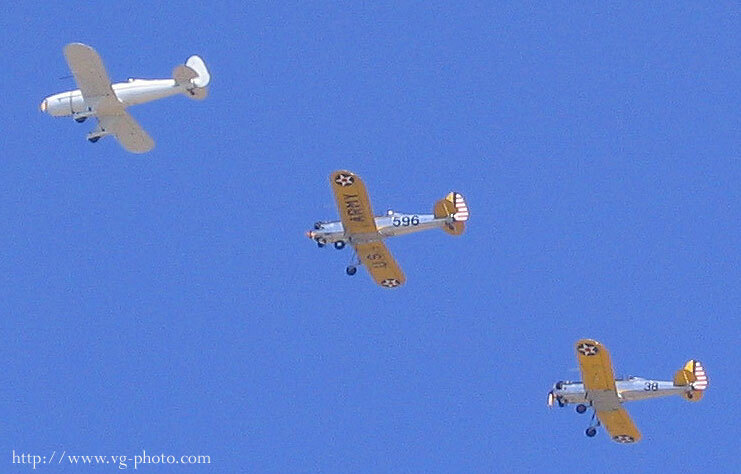 Here is a formation with the first 2 aircraft and N47080, another ST3KR with a Fairchild engine built in 1942.